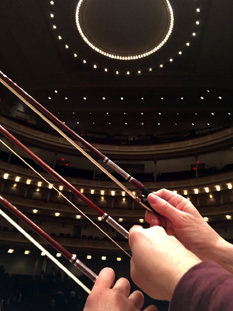 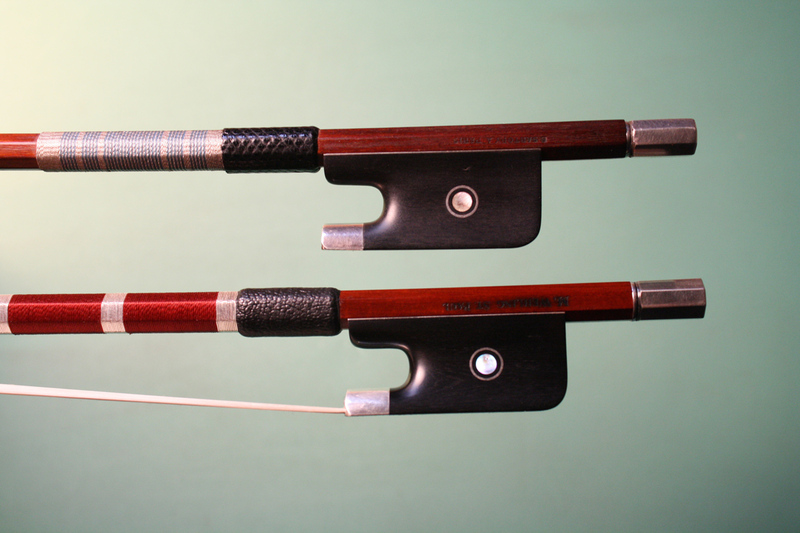 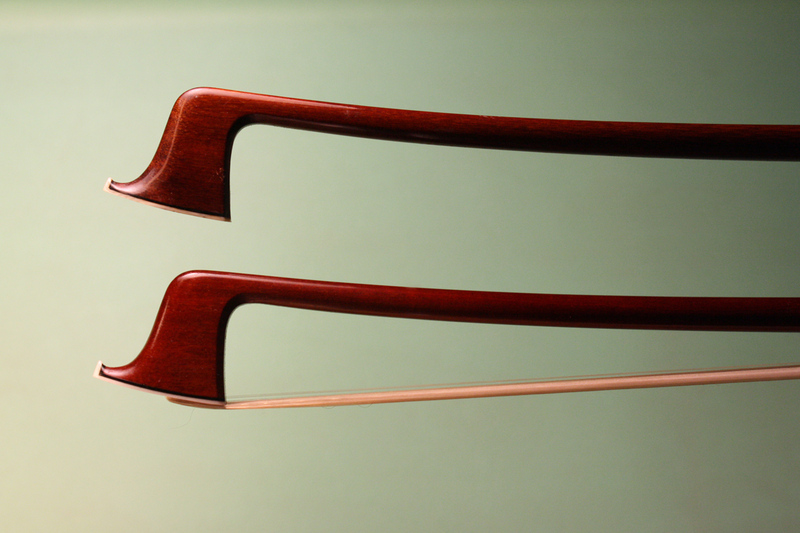 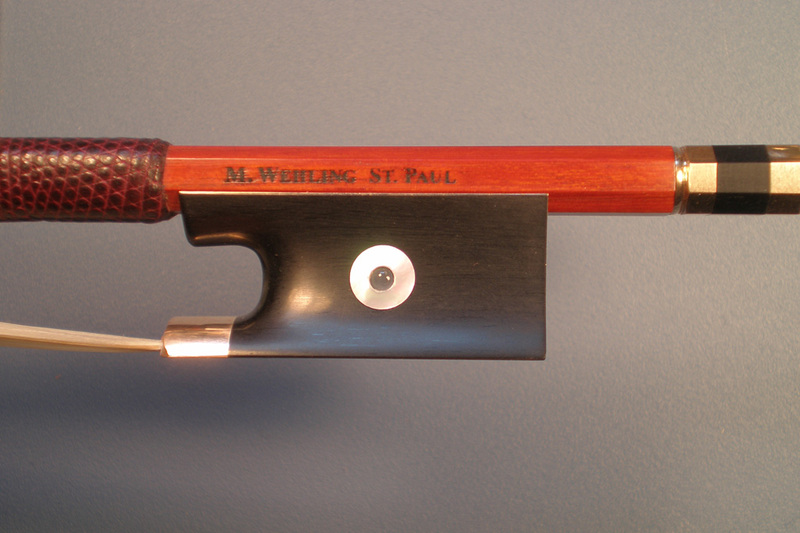 In a sense, most bows made by Matt Wehling are special orders, in that they are typically made with a specific musician’s needs in mind, and he shapes the bow’s playability and sound to that player, their instrument, and their repertoire. 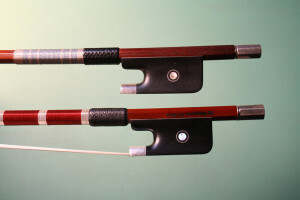 In addition, he will often work with a player on customized aesthetic choices to make the bow truly one of a kind. 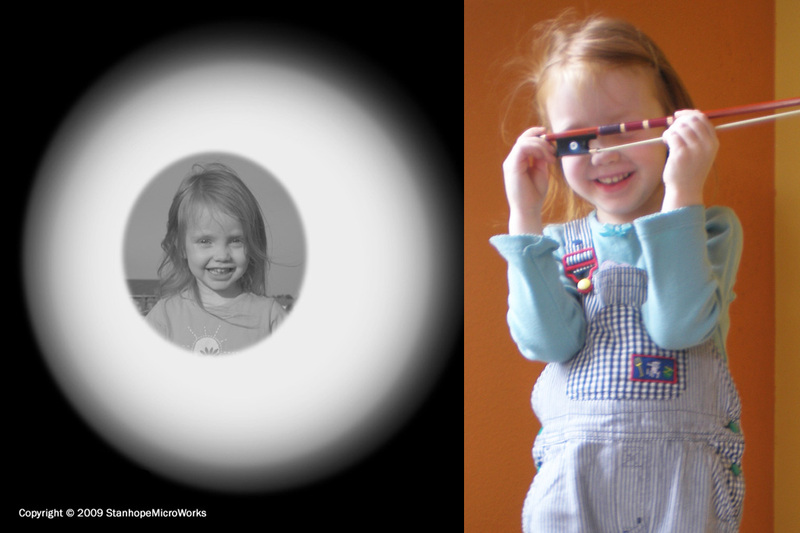 Inspired by the picture bows produced in the Vuillaume shop in the 1860s, Wehling mounted the bow above with a Stanhope microlens photo of his daughter (a process he documented for The Strad magazine). 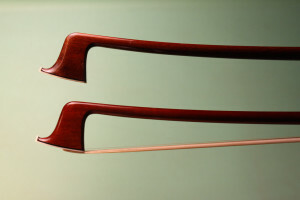 On the left is the frog of the bow; at right is the image which is imbedded in the bow and the subject enjoying her portrait.